This week, we spent the majority of our time in committee meetings, working towards Feb. 28 deadline to have all measures out of committee if they are to move forward in the legislative process. One of the measures we voted on this week in the Senate Education committee was Senate Bill 570. The bill would have created the Hope Scholarship Program Act but unfortunately failed by a vote of 6 to 12. The program would have provided scholarships to a private school of choice to students who experienced more than three documented bullying incidents within a year. The estimated scholarship cost per student was calculated between $3,400 and $5,100, with a total program cost of just $5 million. The program’s language closely mirrored that of the Lindsey Nicole Henry Scholarship, and would have provided the same calculation of State Aid for the scholarship, and the same approval process for private schools to participate, while only representing .06 percent of the education budget. I voted in favor of SB 570 because while I agree there will always be a need to fund public schools at the proper level, it’s also important to remember the unique needs of the individual student as well. This program would have a small price tag in exchange for such a potentially far-reaching benefit for many bully victims. According to the National Bullying Prevention Center, more than one out of every five students report being bullied and 33% of students who reported being bullied at school indicated that they were bullied at least once or twice a month during the school year. Bullied students also indicate it has a negative effect on how they feel about themselves, their relationships with friends and family and on their school work, and physical health. This can lead to suicide, self-inflicted harm or other negative behavior and this is reflected in the 2017 Oklahoma Youth Risk Behavior Survey that showed 11.2% of students reported attempting suicide one or more times in a 12-month period. Bullying is real issue, with real consequences and lasting effects. Many parents of students who have received a Lindsey Nicole Henry scholarship express gratitude for the program because it offered their student a chance at an education they otherwise may not have had under different circumstances. I was hopeful SB 570 would represent the same hope for a better situation for students who have been bullied in school. It was a small investment for the state that had the potential to save lives and spare families pain and suffering as a result of bullying behavior. The Hope Scholarship Program could have had similar success and offered a chance to provide hope instead of hopelessness with minimal effect on the state’s budget. Many of our children function well in traditional educational environments, but we also have students who have special needs that require different approaches or structures, and bullied students fall into that category. It was my hope SB 570 could provide a viable alternative option for those students and their families and my vote in favor of the measure represented my belief it could be the difference between life and death for the 11.2% of kids who felt death was a better option than living with being bullied. I’m disappointed in the vote this week, but I’m hopeful we can continue to work on building a program to help students who are victims of bullying in school. 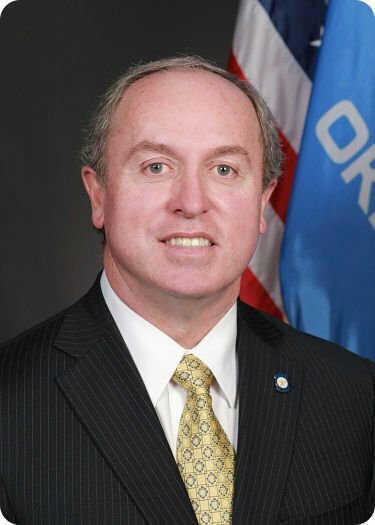 As always, please feel free to contact me at the state Capitol by calling (405) 521-5555 or by email at marty.quinn@ oksenate.gov. If you’re at the Capitol and would like to stop by our office, we are now located in Room 419.